Welcome to Dukes Removals and Storage. We are an Oxford removals company that cater for all Kidlington removals.Residential removals and office relocation and storage.Having many years of experience moving people all over the UK we know just how important is it to find a friendly and reliable removal company who will insure you move goes as smooth as it possibly can. We don't leave anything to chance and always recommend a free property survey so we have a clear indication of your removal. We provide a full or part packing service and will supply all materials need to complete your removal. Our staff are experienced, efficient and will make sure all furniture is well wrapped before loading. All boxes labelled and put into your room of choice. We use only the best quality removals materials and will insure it is loaded correctly to prevent any damages. We take every precaution to make sure your property and contents are not damaged and you are satisfied with our service. Customer feedback is important to us so we promise to make your removals as stress free as possible. We deliver local and nationally. If you would like to get some advice or arrange a free survey we would be happy to assist you. 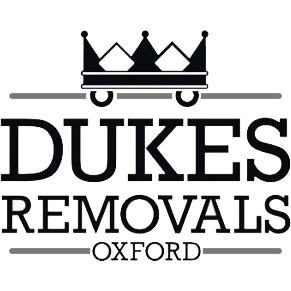 Please call Dukes Removals on 01865 803352.